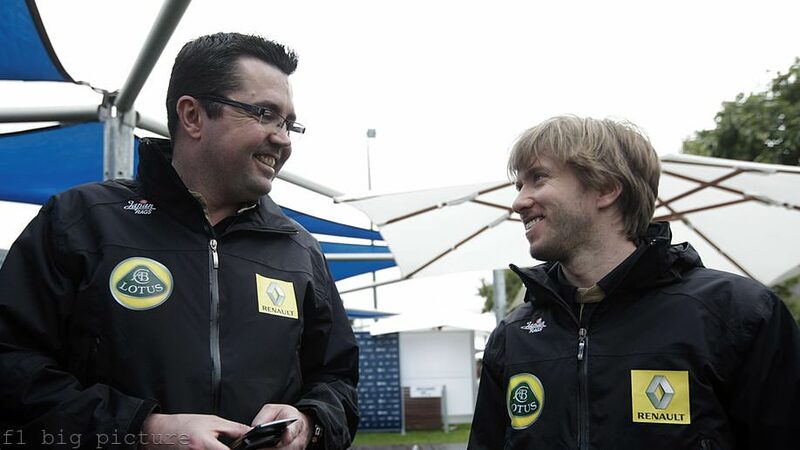 Nick Heidfeld talks with his new boss, Renault team principal Éric Boullier. Heidfeld's first race weekend for the team didn't work out as he may have hoped, as the German was completely outshone by his teammate Vitaly Petrov. A tough qualifying session, where Heidfeld got caught up in traffic, saw him start the race down in 18th. An early crash in the race itself left the Renault with significant chassis damage, but Heidfeld kept the car in the race and finished 12th (by dint of many other retirements and a couple of disqualifications). It was a very difficult weekend for Nick, and after the race, he said: "I'm obviously disappointed not to finish in the points, but it just wasn't possible, especially after I got hit on the first lap. It's a shame because I had made such a good start from 18th to 12th by the first corner."